Successful pet businesses like yours are built on relationships. 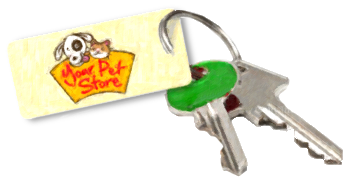 PetStoreMarketer.com hands you the keys to a sophisticated suite of marketing services that help strengthen customer loyalty and draw new customers to your store. These are the same tools that the largest corporate chains use successfully but that have been impractical for independent stores to implement. Until now. Most major retail chains now use loyalty marketing programs to keep their best customers coming back. PetStoreMarketer.com gives you all the tools you need to set up a successful rewards program. You'll have online access to your sales and response data from each of your best customers to use in email, direct mail, and online marketing. We keep track of points and purchases and send your rewards certificates automatically. All you have to do is sit back and enjoy reduced marketing costs, more frequent customer visits, and higher profits. 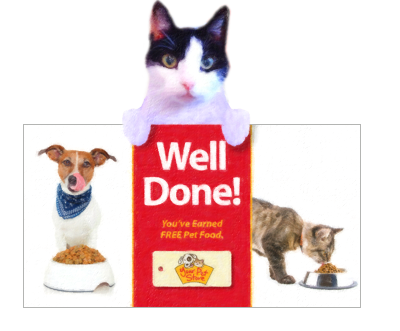 Frequent-buyer programs are so popular among retailers because they really keep customers coming back to buy staple items like pet food. The biggest drawback is the amount of work required by store staff. PetStoreMarketer.com makes it easy to set up a frequency program, such as buy 12-get-1 free. Best of all, no punchcards are required; we keep track of customers' purchases online and issue customers their rewards automatically. PetStoreMarketer.com's sophisticated platform does more than just build loyalty among your existing customer base. It unlocks your store's data to zero in on new customers. 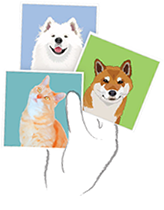 Our sophisticated targeting tools let you mail only to households that own pets. 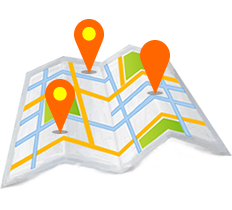 Street by street and block by block, you can use your customer data to find exactly where new customers are most likely to live. New pet-owning customers are moving into your area all the time. 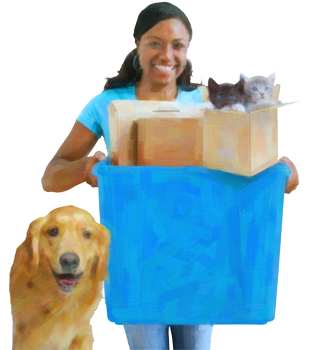 You can target dog and cat owners right after they move, during that critical time when they are choosing a new pet store. It can be the start of many long and happy customer relationships.